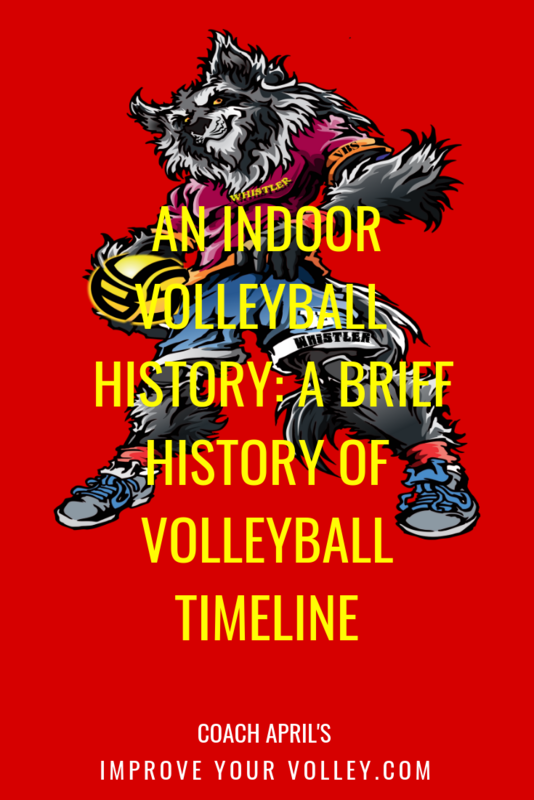 A timeline of events marking the history of volleyball playing American female athletes in the Olympics. 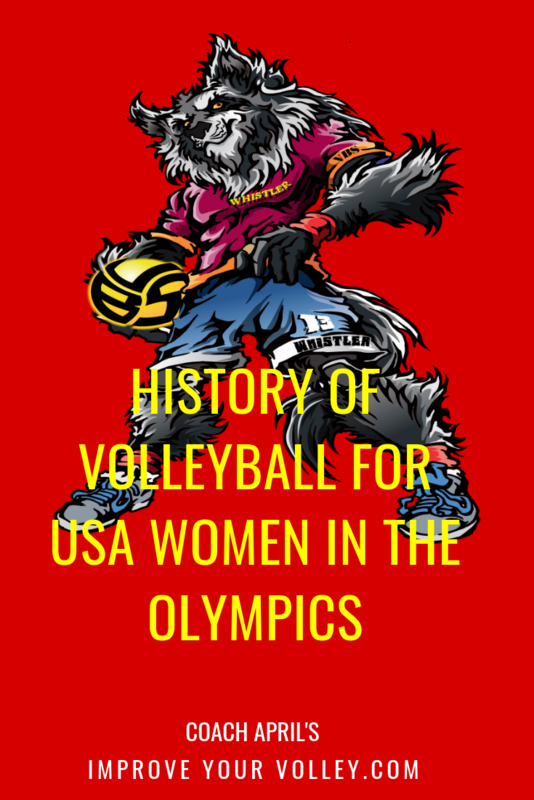 The history of volleyball in the Olympics for women, especially American players has occurred in a very short time, only spanning over the last 50 years. Many of the participants in the first Olympics are still playing volleyball today. Below, find the timeline of events and the Olympic rosters of female volleyball players who represented the United States in each competition below. Only six teams competed in the female division of the first Olympic games. The Japanese women were the first winners in the history of volleyball defeating the Soviet Union in the finals. No USA Olympic Team because the American women did not qualify for the 1972 games. No USA Olympic Team. For eight years, in the 70s the American women did not qualify to play in an Olympic games. DNQ - did not qualify. Although the Americans had one of the strongest teams in the world at that time and were favored to compete with the USSR for the gold, US American President Jimmy Carter decided it was best for all the American teams to boycott the Moscow Olympics. From 1972 to 1980 the American women did not compete in an Olympic games. Finally in 1984, the American women competed on home soil in front of family and friends in the Los Angeles Olympics in 1984. Watch Lang Ping #1 on China's team known as "the Iron Hammer," future US Olympic coach who leads the Americans to a second silver medal vs. 6' 5" Flo Hyman, American and worldwide ambassador for the sport of volleyball. Lang Ping, after coaching the Americans to a silver in London, then coached China to a gold medal at the Rio Olympics. Living in Inglewood, California at the time, I was working as a volunteer at the Forum (Prairie Avenue and Manchester) at the women's basketball venue. It was amazing to be court side to watch Olympic basketball coach Pat Head Summit coach the women's team, or go to the track at the Coliseum to watch Carl Lewis and the 4 x 100 relay team run. It was a life changing experience to watch on TV as the American women's Olympic volleyball team led by Flo Hyman got their first medal, silver, in an epic battle against China, led by future Olympic American and Chinese coach Lang Ping. The Americans sank in the World rankings with the new young team and new coach Terry Lyskevich finishing in 7th at the Olympics in Seoul Korea. I tried out for US National team in 1985, the February after the Los Angeles Olympics. I made the team despite having tweaked my ankle during the third day of tryouts. I trained with these girls for a short while,was a member of the 1985 World University Games in Kobe, Japan and then played with and against them and other international and Olympic stars as a professional player in Italy for a number of years. 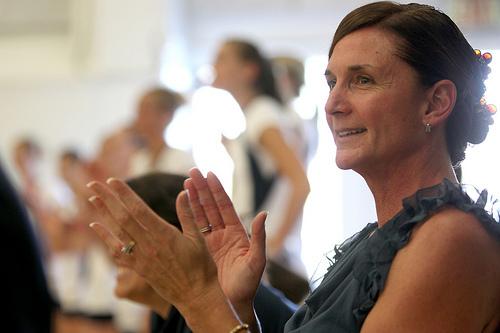 The Americans returned to their winning ways and to the podium, after being joined by 1984 Olympic MVP Paula Weishoff who had been playing in Italy against many of the international players who participated in the Olympics. The Americans finished in third place. Two Oden sisters were on the team, older sister, team captain Kim Oden and middle sister Elaina, both starting middle blockers on the American team. Playing on home turf this time in the southern part of the United States in Atlanta Georgia the American women finished out of medal contention. Two Oden sisters were on the team, middle sister Elaina and younger sister Beverly, both starting middle blockers on the American team. The Atlanta Olympics marked the first time beach volleyball was played in an Olympic games. The Americans, favorites to win the gold, finished in 5th and 7th place, also out of medal contention. Current USC coach Mick Haley took the rein as the new American Olympic coach during the first games of the new millennium leading the US to a fourth place ending. The American beach contingent marked the first appearance of Misty May in the Olympics who was teamed with Holly McPeak. The other participating team was the first all African American beach volleyball team of UCLA grads Annett Davis and her Jenny Johnson Jordan. Jenny is the daughter of US Olympic decathlete gold medalist, Rafer Johnson. A new coach, former assistant coach Toshi Yoshida and a markedly taller team, the American women continued to struggle to regain the dominance of the 1980s team. Tara Cross Battle became the first American, male or female in the history of volleyball in the US, to participate in four Olympic games. This would be her last Olympic games. The Athens Olympics signaled the beginning of the dominance of the American women, Misty May Treanor, daughter of indoor Olympian Butch May, now partnered with indoor Olympian and Stanford grad Kerri Walsh. In her native country, the first female coach in the history of volleyball for the Americans, Chinese Olympic gold medalist and international icon,Lang Ping led the US to their second Olympic silver medal during one of the most fantastic Olympic games ever to be presented. Americans Misty May Treanor and Kerri Walsh continued their dominance in the sport of beach volleyball, continuing their winning streak through the entire process of winning a second gold medal, the finals which took lace in pouring rain against a touch Chinese team and home crowd. New Zealander, Hugh McCutcheon took over the reins of the women's team, transferring from the men's program where he led the men to a gold medal for the US in the Beijing Olympics (after an unfortunate incident where his father-in-law was killed in Beijing before the games began). McCutcheon led the Americans, predicted to win the gold, to the Olympic finals against an inspired Brazilian team, who beat the Americans in four sets. Kerri Walsh, mother of two boys, who later revealed she was pregnant with her daughter Scout during these third Olympic games continued her partnership with Misty May Treanor. Together the American pair won an unprecedented third gold medal cementing their hold as the winningest beach volleyball team, male or female, in the history of volleyball on the beach. This is the first Olympic games for American April Ross. The Olympics in Brazil marked the first time Karch Kiraly made his appearance as an Olympic head coach having been one of the assistant coaches to Hugh McCutcheon at the Beijing Olympics. Having led the American women to their first World Championships gold medal win prior to these Olympics, the Americans were ranked number one in the world prior to the start of the games. 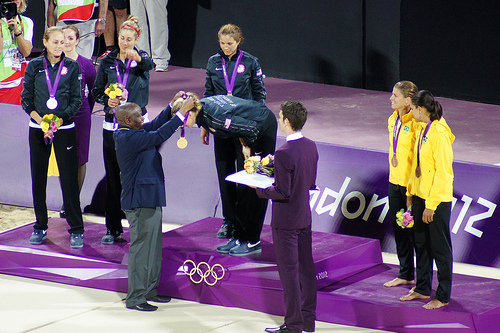 Karch Kiraly, the first player in the history of volleyball to win gold medals in indoor and beach volleyball, led the American women to a bronze medal finish at Rio. Kerri Walsh, with her new partner, silver medalist in the last Olympic games American April Ross, attempted to win an unprecedented fourth gold medal in Rio. 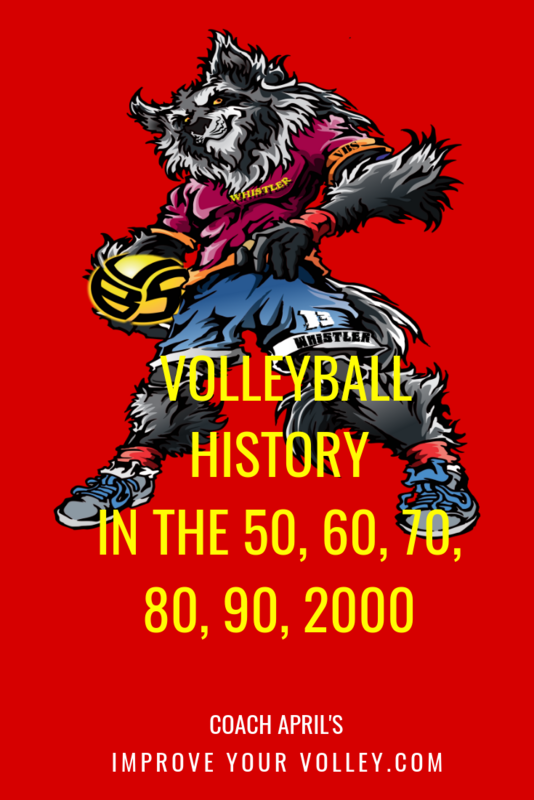 Volleyball History: Where Do You Go From Here? Or visit the pages in the American Women in the Olympics History section in the drop down menu at the top of the page.